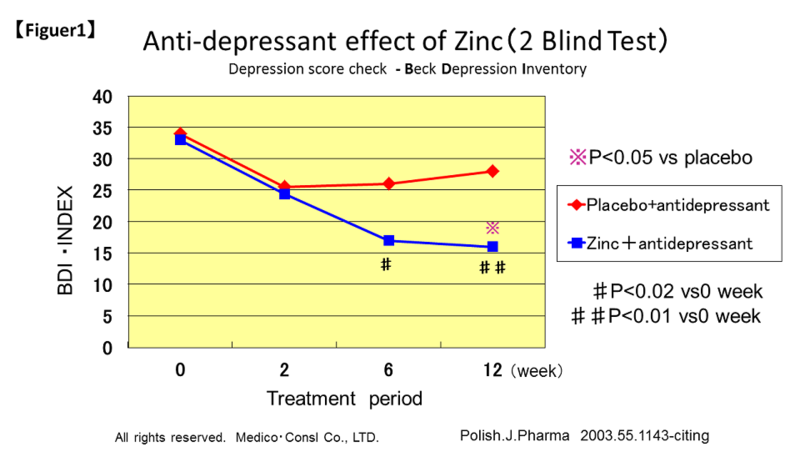 The improvement of depression with Zinc administration has been reported from medical institutions in Poland 2013. 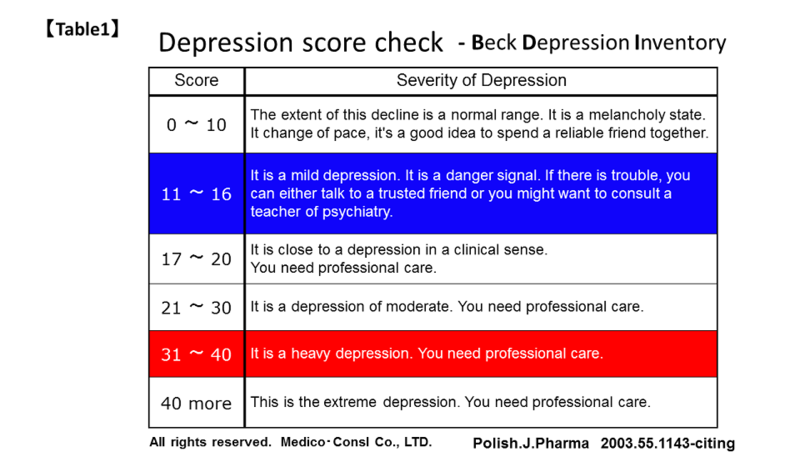 They have observed for 12 weeks the improvement effect of depressive symptoms with Zinc administration. 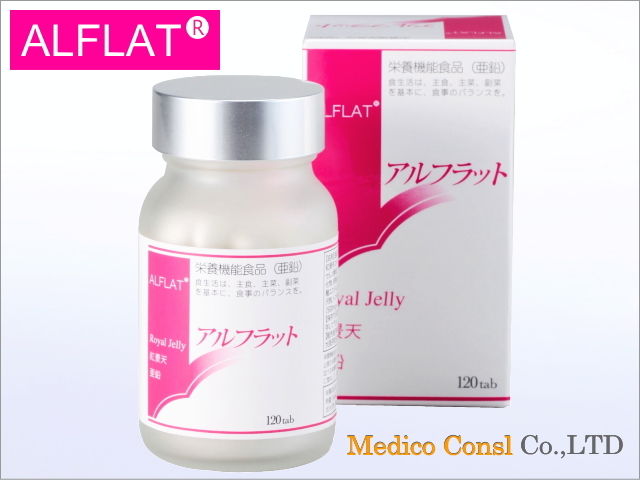 They have compared the anti-depressant effect of Zinc and placebo. In the case of Zinc,it has a plus effect on depression. Lower BDI index is closer in normal. These datas indicate the symptons is improved in Zinc group. 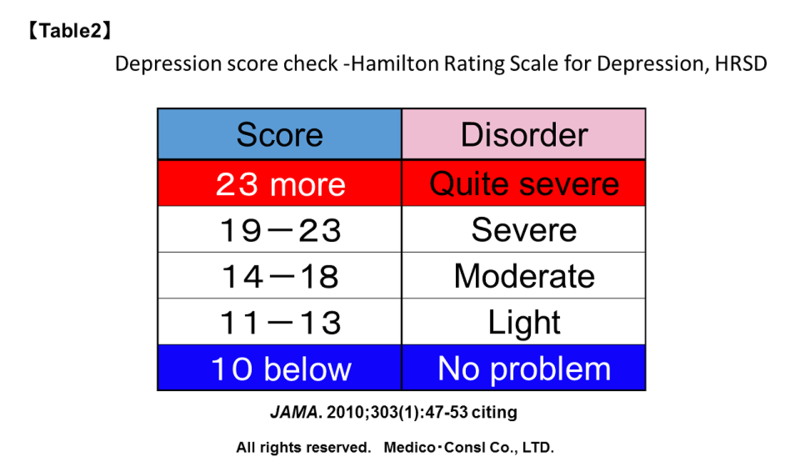 These datas are evaluated by the Hamilton rating scale for depression. The lower is light degree. 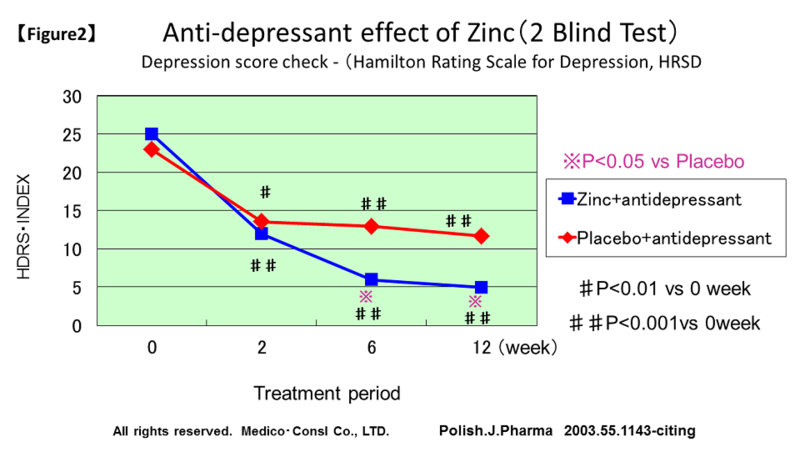 Zinc group improved the symptons compared with placebo group in this test. We have comfirmed the improvement of depression by Zinc administration. Zinc mechanism is also shown recently and it pays attention all researchers. I really enjoy looking at on this internet site, it holds great content. “A short saying oft contains much wisdom.” by Sophocles.